What is the Florida Student Mock Election? 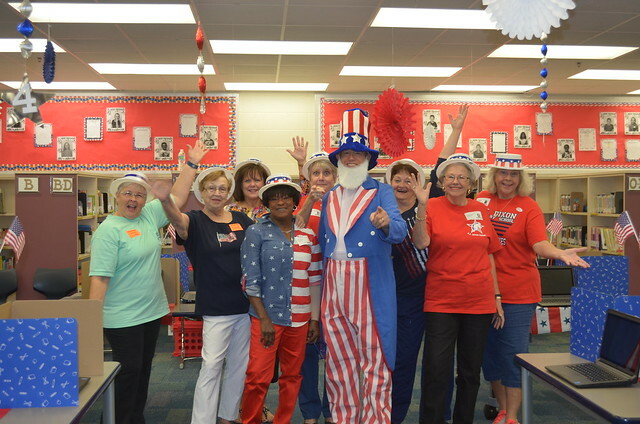 The Florida Student Mock Election provides an opportunity for all of Florida's K-12 students to learn about and practice voting as one of the most important responsibilities of democratic citizenship. To become a part of the Florida Student Mock Election, schools can request an account by contacting KidsVoting Florida (KVFL) directly at KVFL@ucf.edu or by contacting their county's Supervisor of Elections. To see if a Supervisor of Elections is a KVFL partner, click here. When requesting an account, you will need to provide the name and email address of one or more teachers or administrators at your school who will serve as BALLOT ADMINISTRATORSThe Ballot Administrator(s) for your school can create and edit ballots through the Kids Voting Election Administration website, DoubleClick Democracy. For the upcoming Student Mock Election, Ballot Administrators will be able to download a master ballot template and customize it to include congressional candidates or any other races (or school issues) that you may wish to include. Ballot Administrators can also create voter IDs for students (if desired), import results from paper ballots if you choose to use them, and view reports.. At least two Ballot Administrators are recommended at each school. When will the 2018 Florida Student Mock Election be held? Monday, September 10, 2018 through Tuesday November 6, 2018. Schools may choose to have their students vote at any time during this period. What can my students vote for? A Ballot Template provided by KVFL will automatically include the contests for Governor and U.S. Senate. Ballot AdministratorsThe Ballot Administrator(s) for your school can create and edit ballots through the Kids Voting Election Administration website, DoubleClick Democracy. For the upcoming Student Mock Election, Ballot Administrators will be able to download a master ballot template and customize it to include congressional candidates or any other races (or school issues) that you may wish to include. Ballot Administrators can also create voter IDs for students (if desired), import results from paper ballots if you choose to use them, and view reports. can choose to add congressional, state and local races as well as school based student government contests and/or issue opinion polls. How will students at my school vote? Once a ballot has been created, Ballot Administrators will email a ballot link (automatically generated by DoubleClick Democracy) to all participating teachers in your school. They will also supply voter ids (if you have chosen to use them) or a school code and unlock code (if you have chosen to not use voter ids). Students will use a desktop computer, laptop, tablet or smartphone to login to DoubleClick Democracy. They will enter either their voter id or a school code and unlock code to access the ballot and cast their vote. You may also choose to print paper ballots, count election results and have your Ballot Administrator upload vote totals to DoubleClick Democracy. How will I see results? School results are tabulated as votes are cast and can be viewed by Report Users and Ballot Administrators by logging in to their DoubleClick Democracy account. Statewide results will be posted by KVFL after all voting has been completed on November 7th. Who are the KidsVoting partners? The Florida Student Mock Election is provided through KidsVoting Florida (KVFL) in association with KidsVoting USA. KidsVoting Florida is a partnership of the Lou Frey Institute at the University of Central Florida, the Florida Joint Center for Citizenship, the Florida State Association of Supervisors of Elections, and the Florida Association of Social Studies Supervisors. How can I learn to be a Ballot Administrator? Can my school use DoubleClick Democracy for voting in other elections? Ballot Administrators at your school can create ballots for any class or school wide elections that you may wish to hold in the future – such as class officers, student government, Homecoming, Senior Superlatives etc. You may use DoubleClick Democracy for voting at your school at any time and often as you wish. For more information regarding election dates, visit the Florida Department of State Election Website. If you want a simpler procedure for your mock election click here (printer friendly version). Find websites and resources that relate to the 2018 gubernatorial/congressional election, as well as elections in general.